Download the above file and unpack it onto your retro DOS PC! I usually put it as C:\DOSBENCH folder, but it doesn't have to be! This pack consists of a range of 3D and CPU benchmarks as well as tools. I made this because I want to make life easy for anyone new to DOS retro gaming. If you've built a DOS retro PC, how do you know that it performs like it should? Sometimes you can forget about the turbo button and the machine runs slower without you knowing. So a consistent set of benchmarks makes it easy to compare your machine with others. I will now talk about each benchmark a little bit! ​The first benchmark is the Superscape Benchmark, short 3D Bench version 1.0. This is the old version, can only do up to 99.9 FPS and isn't very precise at higher FPS. Best used on slower 386 and 486 machines. Option 2 is version 1.0c of the same benchmark. This one can go up to 999.9 FPS and is recommended for faster machines like a Pentium, Pentium 2 or Pentium III. 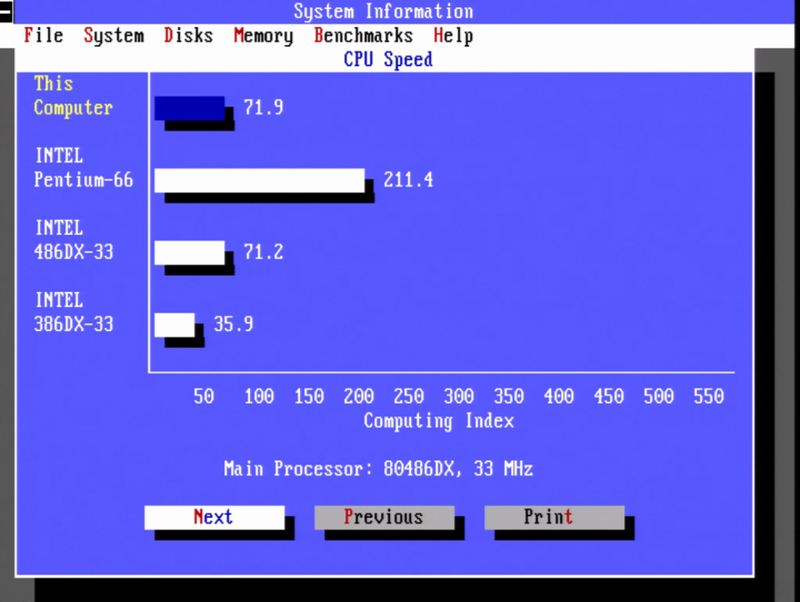 On a 386 or 486, why not run both benchmarks, just make it clear when publishing what benchmark you're using please. 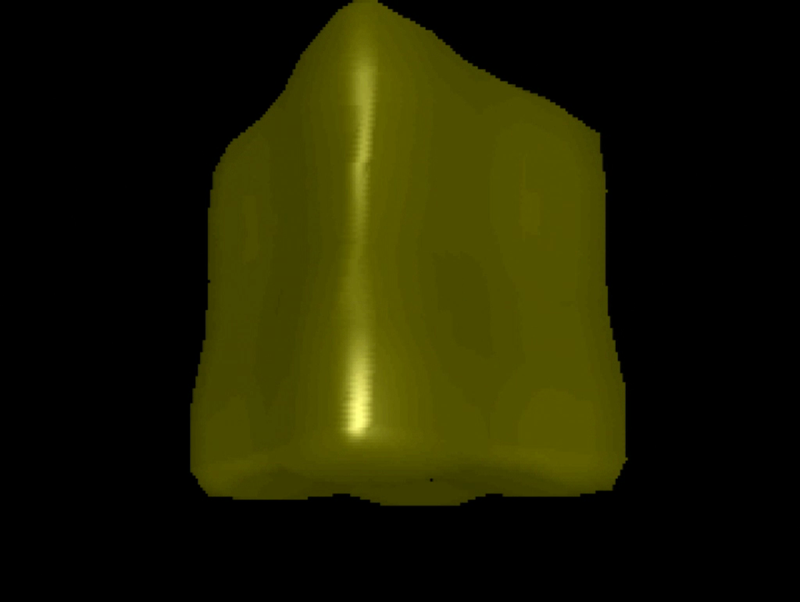 Option 3 is Chris's 3D Benchmark. 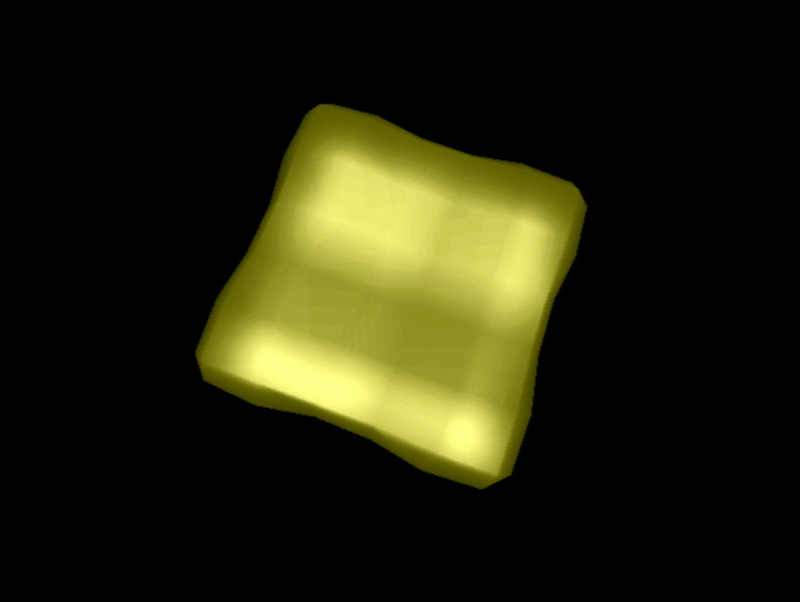 This is VGA and runs at 320x200 resolution. 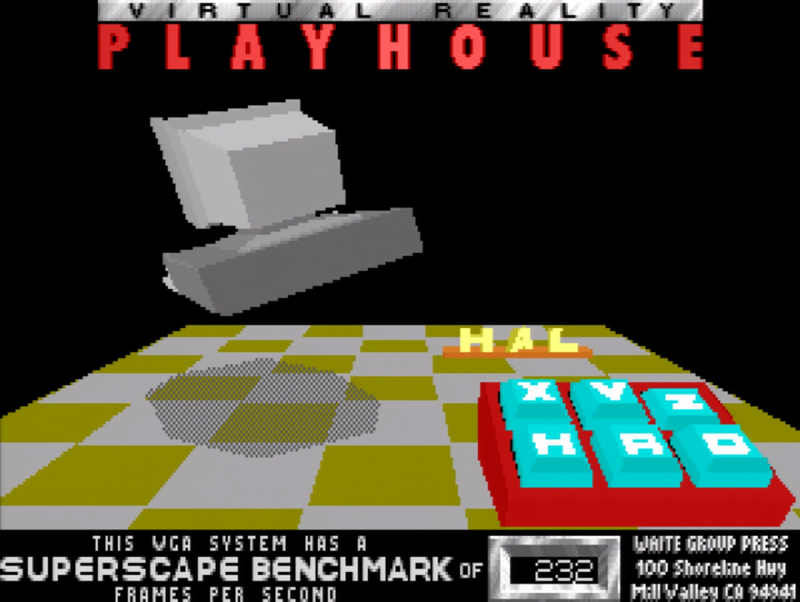 At the end of the benchmark it outputs a score as well as FPS. It's the FPS figure that is of interest. 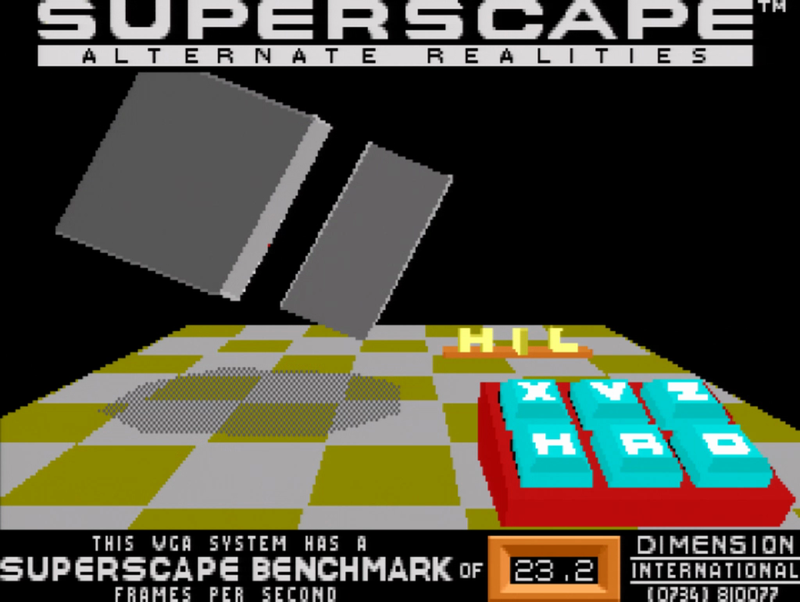 Option 4 is the same benchmark but runs at 640x480 resolution and is much more demanding. At the end of the benchmark it outputs a score as well as FPS. It's the FPS figure that is of interest. If the benchmark doesn't work for you, you might have a VESA issue with your graphics card. You can try the menu options for loading Display Doctor or UniVBE. Option 5 runs the famous PC Player Benchmark. This was created for a popular German computer magazine back in the day. It runs at 320 x 200 resolution and after a short while you can see the FPS figure in the bottom right corner of the screen. 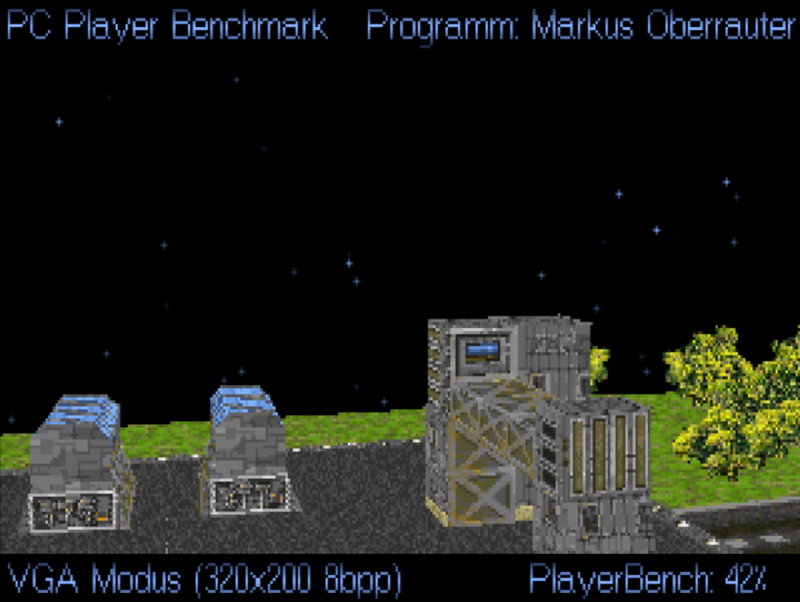 Option 6 runs the PC Player Benchmark at 640x480. 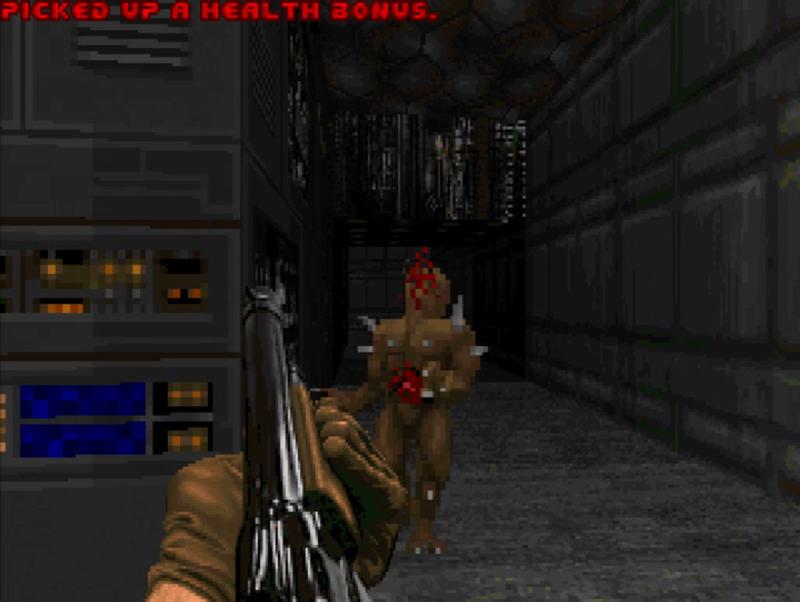 After a short while you will see a FPS figure in the bottom right corner of the screen. This benchmark also requires VESA support. No DOS benchmark session is complete without Doom! This is the shareware release and runs a timedemo. On a slow machine this can take quite some time, therefore I've added a separate benchmark running Doom with minimal details. This works great for 386 machines, a SX 33 for example gets around 15 FPS. FPS = 74690 / realticks. 74690 / 5000 = 14.938 FPS. Note that I have configured the screen to be fullscreen in order for the benchmark to be more demanding for faster machines. Keep this in mind when comparing results. 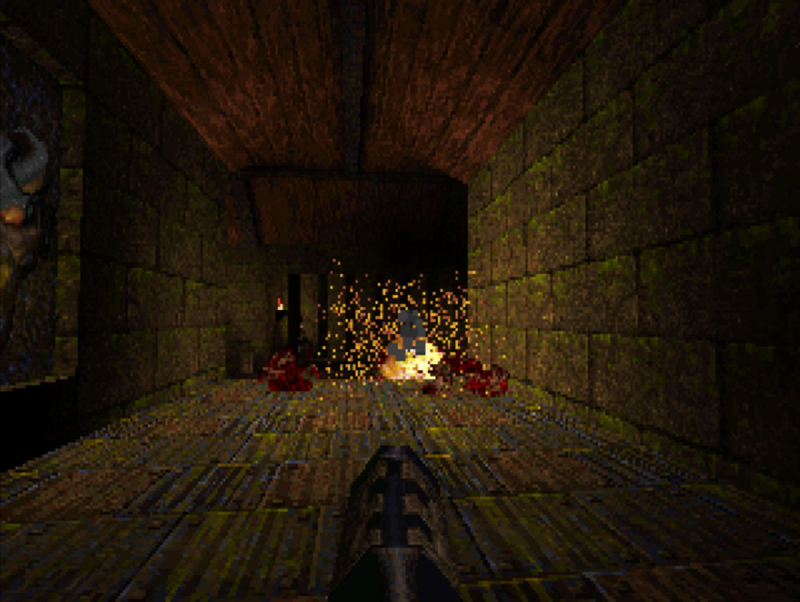 Quake at 320x200 resolution. Note that this benchmark needs a FPU, so it won't run on a 486SX or 386DX unless you have a separate maths co-processor installed. 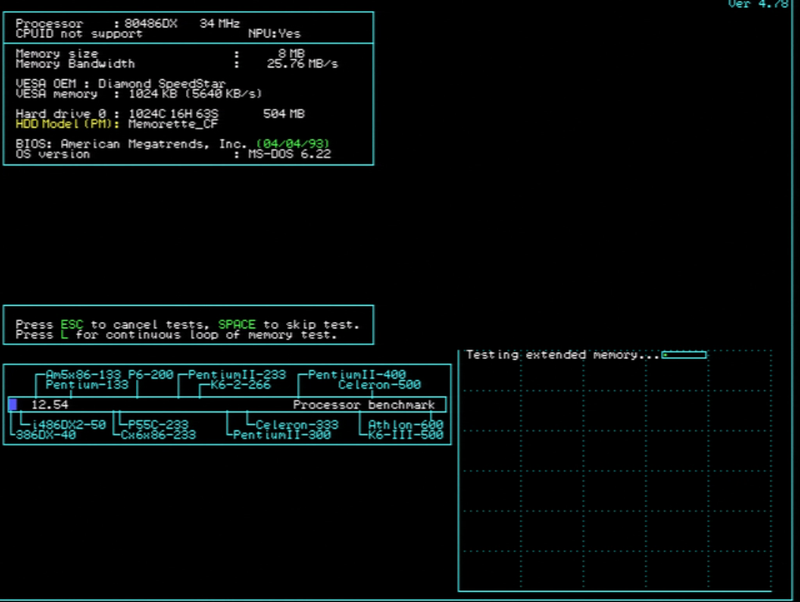 On a 486 this benchmark is very demanding and can take a long time. After the benchmark, the console will open and show the frames per second. There are also options for 360 x 480 and 640 x 480. The latter requires a VESA 2.0 compatible card. Do look at the screen, because the game won't give an error, but just run at 320 x 200 instead. Norton System Information 8.0. Just select select the menu at the top > Benchmarks > CPU Speed. The benchmark is in real-time, so pressing the turbo button for example has an immediate effect. 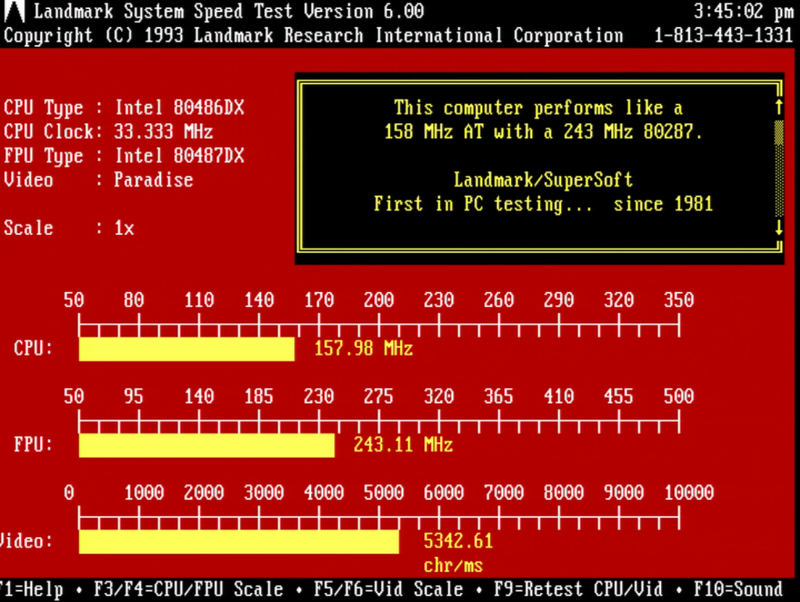 Landmark System Speed Test 6.00. It also runs in real-time, so pressing the turbo button for example has an immediate effect. There are two results that should be published, the score for CPU and FPU. I take the numbers in the graphs as they have decimal digits for extra precision. TOPBENCH 3.8. It also runs in real-time, so pressing the turbo button for example has an immediate effect. Speedsys, also a very cool and popular benchmark. It will show a CPU score after a short moment, but has much more to offer, especially plotting nice graphs about memory, cache and hard drive performance. MTRRLFBE and FASTVID which enable Write Combine for extra VGA performance on certain CPUs. Works mostly on Intel systems, like a Slot 1.